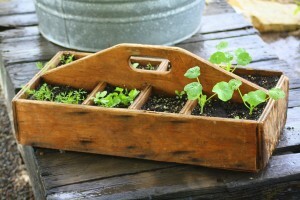 This post originally appeared on the #gardenchat blog. You can follow #gardenchat on Twitter and on Facebook. Reduce, reuse, recycle are words we hear everyday and sometimes several times a day. 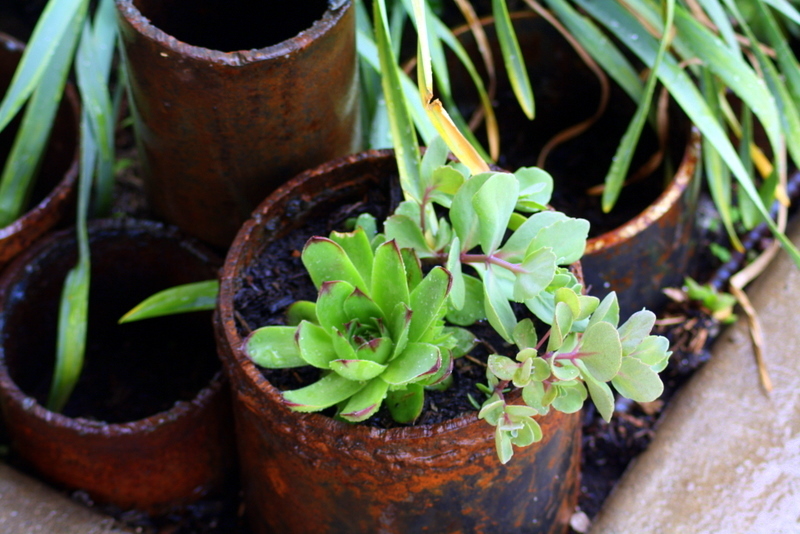 Specifically in the area of reuse, gardeners all around the world, from all walks of life and economic status have taken the incentive to use items that were headed to the landfill to create unique gardens. 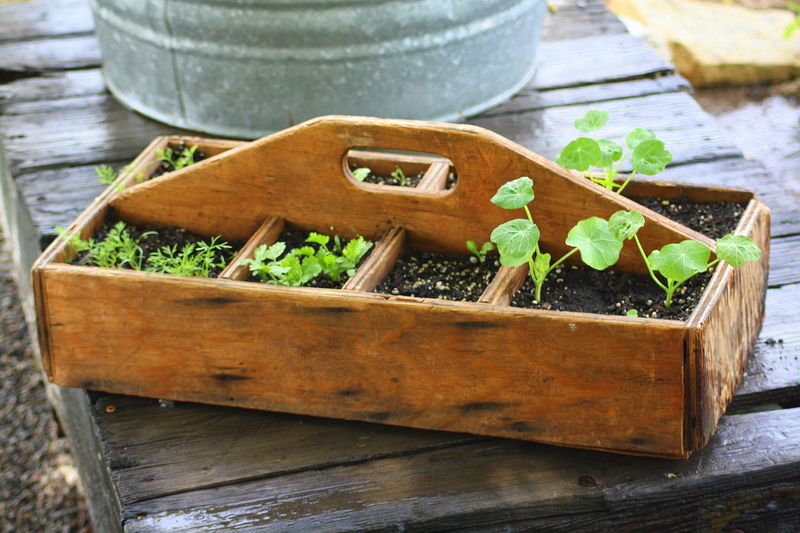 Not only does reusing items help the environment but it allows us to get very creative in our garden spaces with little or no money. 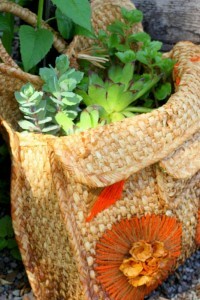 There are several ways to use junk and trash in our gardens . For example instead of recycling, why not reuse cardboard egg cartons, toilet paper rolls and newspaper for seed starting? Mini blinds can be cut up for for plant labels, old windows can be turned into cold frames, veggie scraps and yard waste can be composted to create nutrient rich soil. 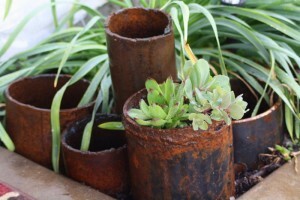 Another way to turn trash-into-treasure and reusing found objects is by creating funky planters. Here’s a peek of trash and junkyard finds that I’ve turned into planters. My motto is if it has a vessel or receptacle you may as well grow in it! The three materials I look for when proverbial dumpster diving are metal, wood and straw. Galvanized metal stock tanks and cattle troughs make excellent container and water gardens. 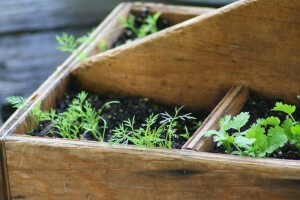 I love Pam’s article, on her blog Digging, No Bull! Cattle troughs make great containers. Keep your eye open for these cool containers at yard sales, second hand stores and flea markets. I recently picked up two of these containers that a friend of mine was going to take to the dump. Score! Another fun way to use metal is by planting in cut-off pieces of metal pipe. Note: Do not use railroad ties or other treated lumber in your garden because of chemicals thay may leach into the soil. Straw you may ask? Yup, I specifically look for those fabulous kitchy vintage Hawaiian straw tote bags . 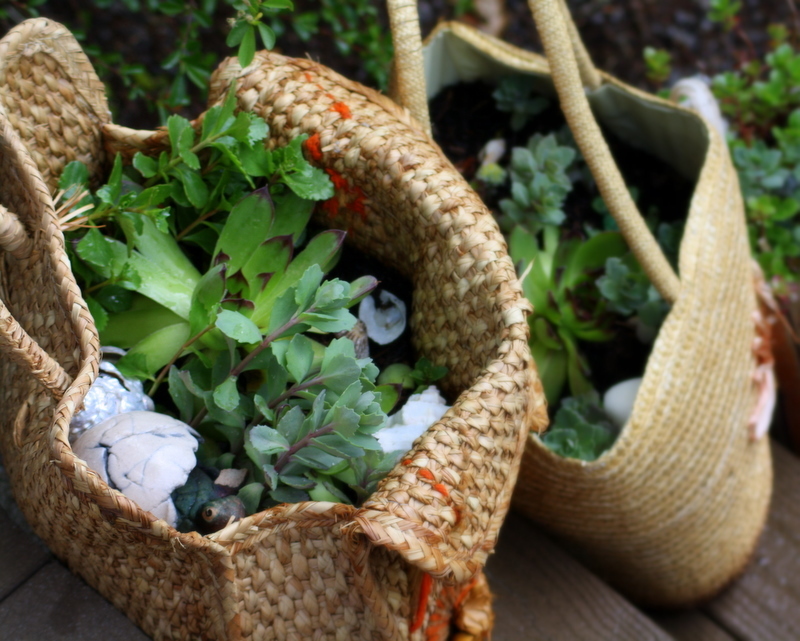 Often found at second hand stores and estate sales these bags make great containers for planting not mention a playful conversation piece in the garden. Yes, I’m a bag lady and proud of it! Here’s my latest straw bag planter project that I created from bags purchased at a local second hand store for $2. 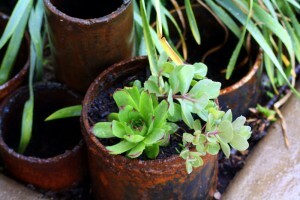 Do you use junk in your garden? Thanks for the link love for my cattle trough article. I love using them in the garden. Your other ideas are wonderful too. Happy recycling! 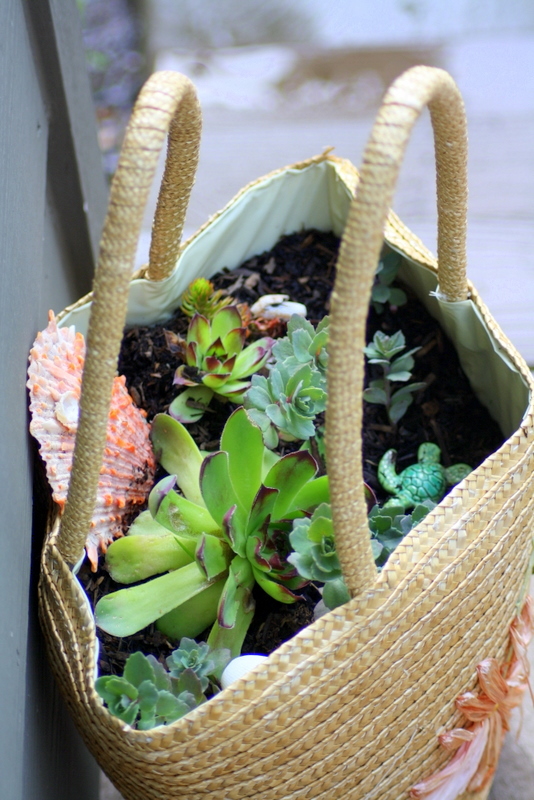 And you could use those bags for hanging planters! Love it. Everything becomes a potential planter around my house. Just discovered you on twitter, btw! Great blog! Hi Martha! Thanks for stopping by, thank you!